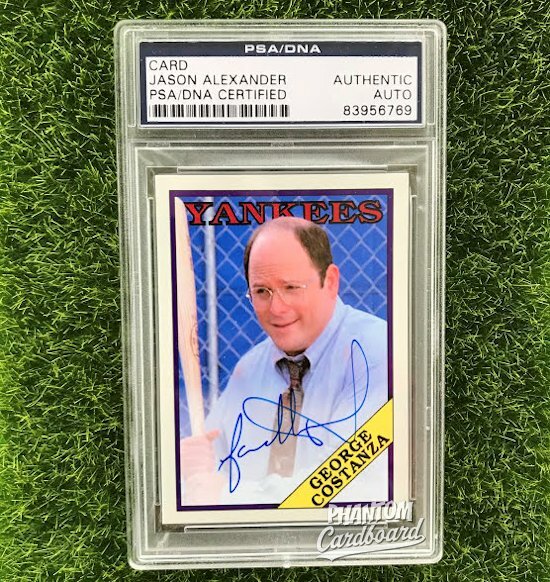 This is my 1988 Topps style George Costanza signed by Jason Alexander. As we all know, George held the prestigious position of Assistant To The Traveling Secretary for the New York Yankees. Absolutely brilliant! Enough baseball-related Seinfeld story arcs to merit a full set?